They come in all colors and sometimes even funky shapes. Sticky notes are the number one item for jotting down a quick thought, a reminder, or even to prank your coworker with. But what about those extra ones floating around your workspace? They can be both useful and amusing, and have we got some great hacks and fun ideas for you to use them! Had lunch at your desk? Crumbs aren’t exactly professional. The sticky side is effective at picking up small bits of crumbs, dirt or dust that collects on your keyboard and along the sides of the keys. You can also clean up specks on your computer screen without leaving a smudge. Stay on top of the game before it event begins. 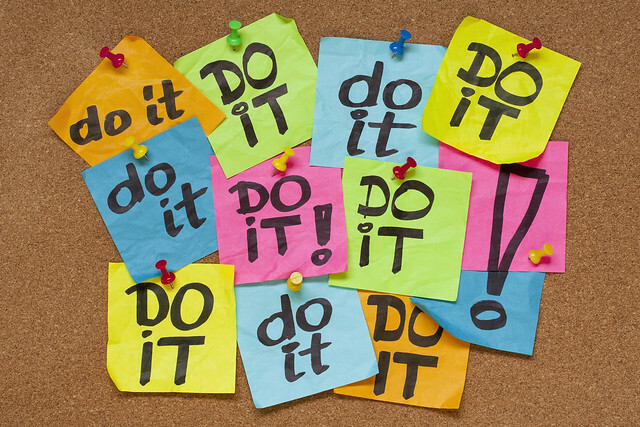 At the end of each day, write your to-do list of what you didn’t accomplish that day and what you know must be done for tomorrow on a sticky note and stick it to your wall, cubicle or laptop screen. You’ll automatically be reminded the next workday what tasks you need to finish and which ones you need to begin work on. Rings on tables are not only uncleanly, but also unprofessional, especially if you want to bring a coffee into a meeting with a client. Sticky notes are the quick and easy solution when you don’t have a proper coaster on hand. Put a sticky note with the sticky side down to create a coaster and prevent drips or condensation from fall on your desk or conference table. If you’re in a meeting, attendees can also write their name down on the sticky note to identify their glasses and their seats. As much as you might love your dog, Fido, or your cat, Sprinkles, having animal hair or lint on your work pants sends the wrong message. Use the sticky sides of a few notes to quickly lift pet hair, dust or lint from your dark clothes or top before a big lunch or presentation. Masking tape works as a lint remover as well but could damage your clothing if its stickiness is too strong. 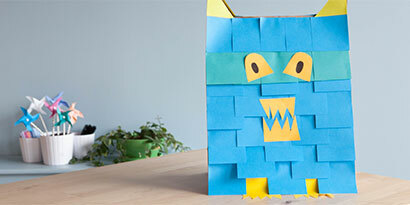 Ideas The Stick: Turn Your Sticky Notes Into Art! This one works really well if you have a talented illustrator or drawer in your office. When people get down to their last few sticky notes, pass them over to your Sir (or) Madam Talent to make illustrations or caricatures of employees. This is a great way to personalize the office and give it a sense of fun. Have an extra sticky note pad? Turn it into a flipbook! No artistic talent required. Stick figures always accepted. These are fun little projects that you can work on during your break or if you need a moment to recharge your brain from writers’ block. The result is always amusing and can be enjoyed whenever you need a smile. Watch This Video By Our Leading Lady & CEO Kalyn Carter For BIG sticking Ideas!